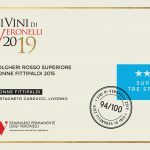 Even the latest Eldorado of Tuscan wine-making starts to be tinted in pink: in Bolgheri – landmark area of quality viticulture – the “girls” of Donne Fittipaldi live and work, with a mission to create, year after year, a wine with a strong personality. The estate spreads over 46 hectars along the road which links Castagneto Carducci to Bolgheri at an altitude of 80-100 metres. As the name has it, Donne Fittipaldi is a wholly female reality. Maria Fittipaldi Menarini, together with her four daughters Carlotta, Giulia, Serena and Valentina, decided to realize a project with traits like courage, resourcefulness, perseverance, sensuality and a taste for all that is beauty, typically female. “We are completely different yet united,” Carlotta , the eldest, explains, “and there is no competition between us. We work enthusiastically to keep a corner of paradise and to share it with those who know how to appreciate it”. Their adventure in the wine-making world started in 2004 with the re-planting of nine hectares of vineyards around the country house La Pineta dating back to the end of the 19th century and refurbished in ’92, aimed at obtaining the ideal grape in the most natural way possible: no clarifying, only local yeasts, rather long macerations, very gentle extractions. 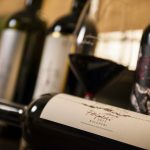 In other words, away with all those more or less invasive wine-making practices which could alter the liveliness of grape varieties such as Malbec, Merlot, Petit Verdot, Cabernet Sauvignon and Franc. 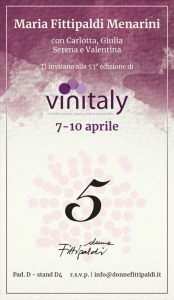 The outcome are wines like “Lady F”, a white made from a rare local grape, Orpicchio: “It is,” the wine-maker Emiliano Falsini explains, “a white-grape native vine, cultivated in the area of Arezzo in the past, and traces of it had gone lost over the years. Nowadays, just 2 hectares of it are cultivated and Lady F 2015 is the first large-scale production of monovarietal Orpicchio. At first we tried both a steel fermentation and a small quantity barrel fermented. After months of sampling and monitoring we decided that the best choice lay with a blend between the two wines. We believe that the freshness of the steel fermented part is well balanced with the very light ‘boisé’ note and the structure gained by the brief period in barrels. The wine obtained is a particular white, unique on the Tuscan scene: elegant to the nose, delicate with typical notes of sage, pear and white pepper. 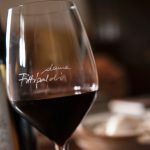 It is fresh, mineral in the mouth with a nearly delicately salty finish.” Today Donne Fittipaldi produces about 80 thousand bottles of four labels – Bolgheri Rosso Superiore Doc, Biano Igt Toscana, Malaroja Igt Toscana (100% Malbec) and Lady F Igt Toscana (100% Orpicchio) – 60% destined for the foreign markets especially the USA, Australia, Brazil, Switzerland, Denmark and the Czech Republic.